Offering an affordable experience in the heart of the city, Residence Inn Vancouver Downtown provides the comforts of home in a popular location. Surrounded by all of the action of Vancouver, our hotel is near dynamic destinations including Stanley Park, Granville Island and Yaletown. Once you've experienced a taste of the area, settle into our pet-friendly suites for a leisure or business stay. We feature gorgeous views of the city skyline, fully equipped kitchens and complimentary high-speed Wi-Fi to elevate your extended stay. You can also take advantage of our grocery shopping service, which delivers fresh ingredients straight to your door, and complimentary breakfast buffet. During downtime, stay active with a brisk workout at our indoor pool or fitness centre. When it comes to your business needs, we offer five event spaces for hosting your corporate or social gathering. 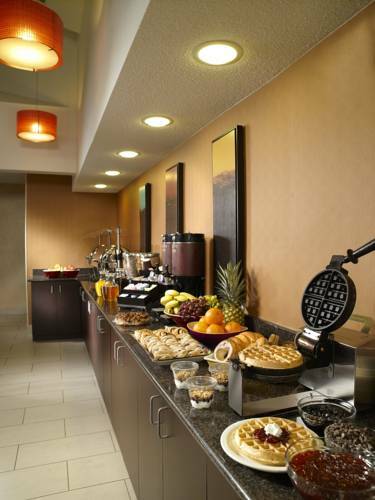 Whatever brings you to British Columbia, have an unforgettable stay at Residence Inn Vancouver Downtown. Paul McCartney "Freshen Up Tour"